You can add plug-ins to Handy Backup either through Settings -> Plugins, or by downloading them manually and adding to the XmlPlugins in the Handy Backup installation folder. Download the plug-in or plug-ins you need from this web site. 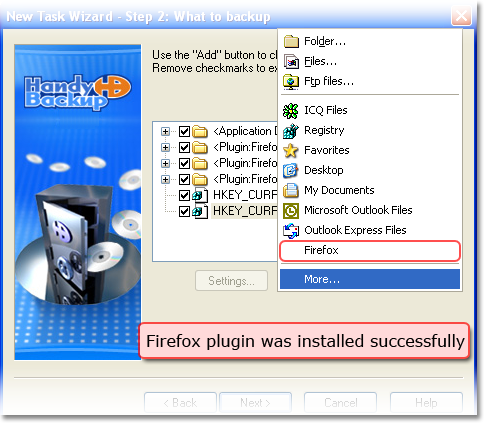 Save downloaded files in ZIP format on your computer, and then extract the archive to the following folder: Program Files/Novosoft/HandyBackup/XmlPlugins. On the File menu, click Settings. In the left pane, click Plug-ins. Plug-in categories appear in the right pane. Click the “plus” sign next to the category you need, and check if your plug-in is in the list. If you can see your plug-in, then the installation was successful. Launch the New Task Wizard and start creating a new backup task. 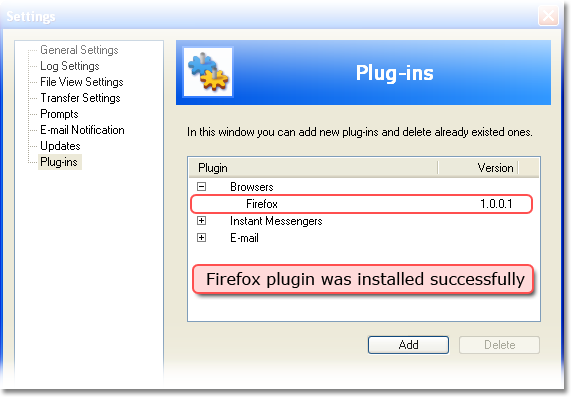 Click your plug-in in the context menu.